MJT aged vintage 100% nitro Gold Mist finish. 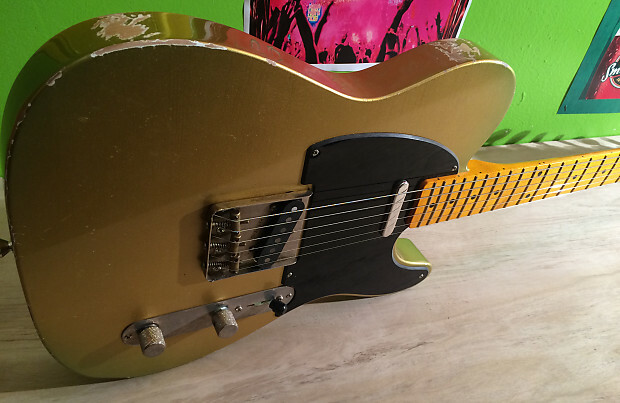 Neck: WD Neck FENDER® LICENSED TELE® NECK VINTAGE MAPLE. 21 medium jumbo frets, 10 inch radius, 1 5/8 inch nut width, 'C' shape with a honey tinted gloss finish. Heel adjust truss rod location. Fender bone nut.